Back in 2012, former Mayor Michael Bloomberg first tossed an idea to convert the NYC's thousands of largely unused phone booths into something useful. Two years later, Mayor Bill de Blasio has revived interest in the plan, vowing to create a robust, citywide network of Internet hotspots. Now, Bloomberg is reporting that Google might be looking to get in on the action. According to a request for proposals (RFP) from the city’s Department of Information Technology and Telecommunications, the search giant was among more than 50 attendees to a meeting on May 12 to discuss the project. The meeting was also attended by Cisco, IBM, Verizon, Samsung, and more. Responses to the RFP from vendors were due Yesterday. 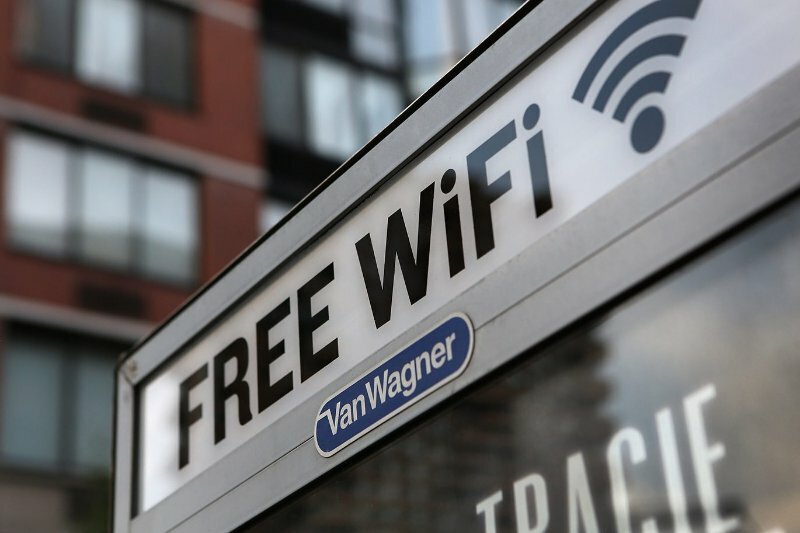 The project would allow the selected vendor to charge for phone service (except, of course, 911 and 311 calls) and make money from advertising, though Wi-Fi would have to remain free. The city administration expects the service provider to pay it a minimum annual compensation of $17.5 million or 50 percent of gross revenues, whichever is greater. For Google, the opportunity to blanket much of New York’s streetscape with Wi-Fi falls in line with the company's efforts to provide fast and efficient connectivity in the US and around the world. The company already provides free wireless access around its West Coast and East Coast main offices in Mountain View, California, and New York's Chelsea neighborhood, and is also working on other Internet ventures like Google Fiber and Project Loon.